Alternative Spring Break is an opportunity to examine relevant social issues, volunteer with inspiring service partners and travel with friends. The Brody Jewish Center has coordinated both international and domestic experiences for Jewish students to have fun while learning about our shared world. ASB is an impactful experience that cultivates increased awareness and connection. The ASB trip to rural Jamaica was a service learning trip - part volunteering in a local school/doing some light construction, part learning about and engaging with the local community, and part exploring and enjoying Jamaica! We stayed in homestays, living with Jamaican families for the week, having a truly local experience. During the trip, we had many conversations about Judaism, social justice and the impact of volunteering in foreign countries. Read more about the trip on our blog. 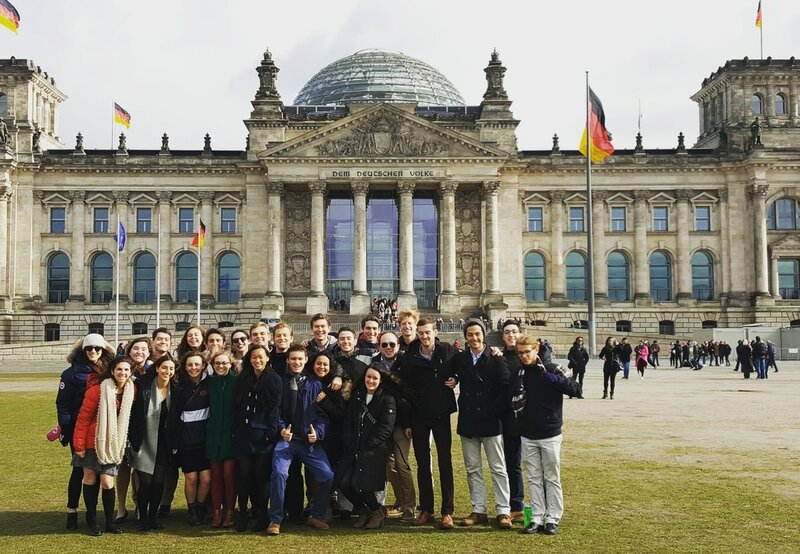 Brody Jewish Center, Hillel at UVA partnered with the Germany Close Up Fellowship to provide a meaningful look at modern Germany. Read about students' travel through Germany on our blog. The Brody Jewish Center partnered with the Wesley Foundation for an Alternative Spring Break in the Navajo Nation. Throughout the week-long trip, students learned from the Navajo population and explored issues pertaining to education and economic development, as well as challenges regarding sustaining cultural identity. Hands-on service projects included light construction and maintenance. Additionally, students participated in cultural activities, such as a sweat lodge. They also visited the Grand Canyon and other sites significant to the Navajo people. University of Virginia students traveled to the Mississippi Delta to examine issues pertaining to food insecurity and race relations. The group volunteered with MEGA (Mississippians Engaged in Greener Agriculture). During the week they contributed to the operations of a community garden that provides the only source of fresh produce for the county. While in Mississippi, UVa also met with leaders of the Delta Jewish community, toured local synagogues and learned about Jewish life in the South. Students volunteered in Appalachia, North Carolina as part of an interfaith service trip in partnership with the Wesley Foundation at the University of Virginia. Students traveled to Buenos Aires, Argentina on a JDC Entwine Insider service trip with the Brody Jewish Center. JDC Short-Term Service Programs are connecting North American young adults to the global Jewish community through volunteer programs in a Jewish community overseas. The experience provided a firsthand understanding of the challenges facing the Buenos Aires Jewish community how JDC is addressing community needs. 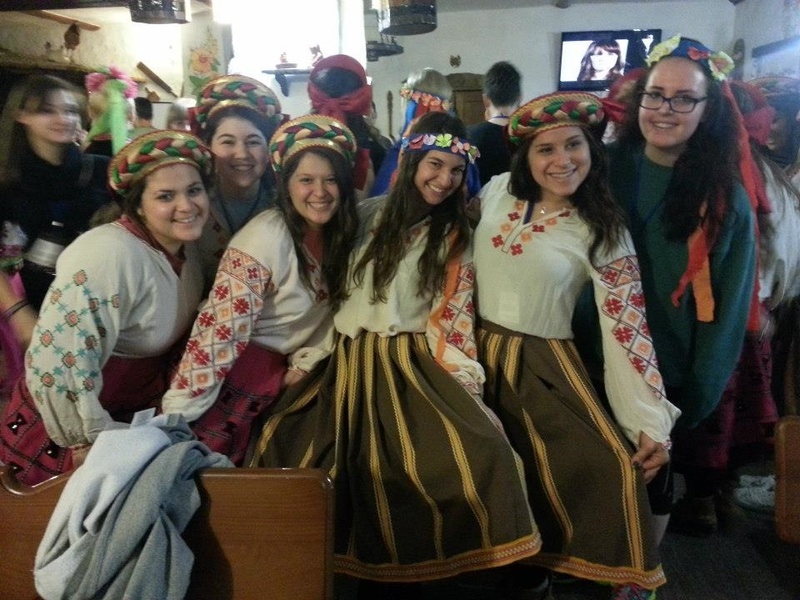 A group of UVa students traveled to Ukraine on a JDC Entwine short-term service trip with the Brody Jewish Center.​ The trip strives to connect North American young adults to the global Jewish community through volunteer programs in a Jewish community overseas.